Home Hair What is the Collagen Hair Treatment? Collagen is a protein that can be found in your bones, your skin’s connective tissue, and your muscles to give them strength and elasticity. Your hair also produces collagen to make your locks smooth and robust, but your hair begins to depreciate in its ability to produce collagen as you age. Bummer right? That is why hair salons are now offering collagen hair treatments. A collagen hair treatment is similar to a hair botox treatment but is more concentrated in cleansing and does not straighten your hair. These treatments last two to three months maximum, and are incredibly beneficial for taking care of your hair in a lasting way. The collagen will strengthen your hair, making it tougher and harder to break. The treatment reduces the amount of split ends that you currently have as well as the potential for split ends in the future. This hair treatment reduces hair breakage and frizz, making your hair much more manageable and decreasing your number of bad hair days. 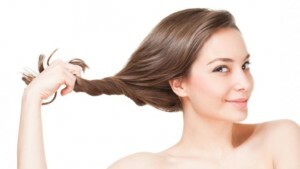 Collagen hair treatments help to protect your hair from the heat. Whether it be hair straighteners or the sun on a particularly scolding summer’s day, this treatment has got your back. A great benefit of this treatment is that it nourishes your hair and scalp. This helps to prevent dandruff and dry hair from raining on your good hair day parade. Sound too good to be true? False. It is true! Continue reading below for some more fun and awesome tidbits on why you should schedule an appointment to get a collagen hair treatment as soon as possible! What Does Collagen Do for Hair? The collagen benefits for hair seem endless. This protein is found in the human body, so all its purposes are at work in you and I already. Some of us could simply use more of it than others due to various factors. Some of the purposes of collagen in hair are to help the hair grow and remain healthy. Collagen helps the hair get thicker and longer, especially as aging occurs since collagen levels tend to decrease with age. Collagen for hair is also great if you are getting older because it helps your hair look less grey and younger when applied. If you need your hair to look younger, more vibrant, and revitalized, collagen is the answer. The next thing collagen helps with is the infamous split ends. Taking collagen supplements for hair helps to fix this issue as well as moisturize the ends where there is typically breakage. Hair loss and hair thinning is caused by insufficient amounts of collagen, so it only makes sense that more would promote the opposite effect. One of the biggest reasons people use collagen supplements or treatments is because it promotes hair growth. This natural component, when used as a supplement or treatment, indeed works wonders for hair. Is Collagen Good for Hair? Collagen is great for hair. This incredibly abundant protein is the thing already inside of you helping to promote and maintain strong, moveable, and healthy hair. On top of that, this amino acid makes up an entire 30% of the body’s protein. Talk about vital! Not only is collagen production good for hair, but it is beneficial for so many other parts of the body as well. This list includes our skin, nails, and hair, just to name a few. Collagen is so strong and multi-purposed when it comes to aiding the body that it can even help with joint pain and arthritis. Having enough collagen for hair growth makes all the difference for the health of hair. The reason for so many collagen products such as Liquid BioCell booming in the beauty industry is plain and simple: we are discovering that it only makes sense to get back to basics. The natural components already in our bodies that make us whole, matter. They are our best bet if we need health improvements. So if your hair is suffering, taking supplements or getting treatments that consist of pure natural components like collagen is very good for you. This is a loaded question, but it is entirely vital to have answered. When it comes to finding the best supplement for skin and hair, it is always smartest to go with the collagen type created from marine or fish sources. It’s a bit pricier, but this is the healthiest option as opposed to the others created from pigs and cows. 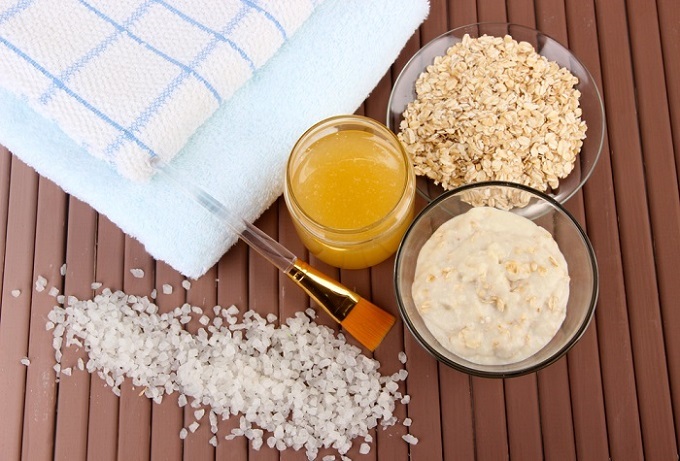 Some of the best hair and skin collagen products can be found in all different forms. They have everything from capsules, to teas, to powders, to gummy bears available. One of the best collagen supplements for skin and hair to purchase is the BeLive Collagen Gummies supplement. This is an excellent option if you don’t enjoy swallowing big pills. This option is created with marine collagen and is easily digestible. You can spare your tastebuds and impact your skin and nails big time with this product. Next up is a product from the MyKind Garden of Life brand called Organic Plant Collagen Builder which is a vegan supplement. This product is a great alternative regardless of if you are a vegan or not! They use biotin and silica instead of animal products to make this. Our last excellent product option directly targets skin, so be prepared start age reversing with this product which will help you fight off wrinkles and loose skin and other skin issues that come along with aging. This product is the Amandean Wild-Caught Fish Marine Collagen which is a true age reversing product! It stays away from added hormones and antibiotics typically in collagen animal products. While using these products, you will see how collagen for skin and hair will cause your beauty to thrive. The chances are you already have coconut oil and olive oil in your house, so to finish the recipe you simply need to get collagen peptides (or hydrolyzed collagen). Hydrolyzed collagen is the part of the mask that makes it effective, so do not skimp out on buying it. Warning: You want to be sure not to add more collagen to the mixture than is advised because excess protein can be bad for your hair. Mix all three of the ingredients in a bowl until they are thoroughly blended. Have your hair washed and dried before applying the product to get the best results. Thoroughly apply the mix to your hair, starting with massaging it into your scalp and then applying it from there to the ends of your hair. Leave the treatment in for about 20 minutes. Lather shampoo and rinse out your hair until the mask is completely out. 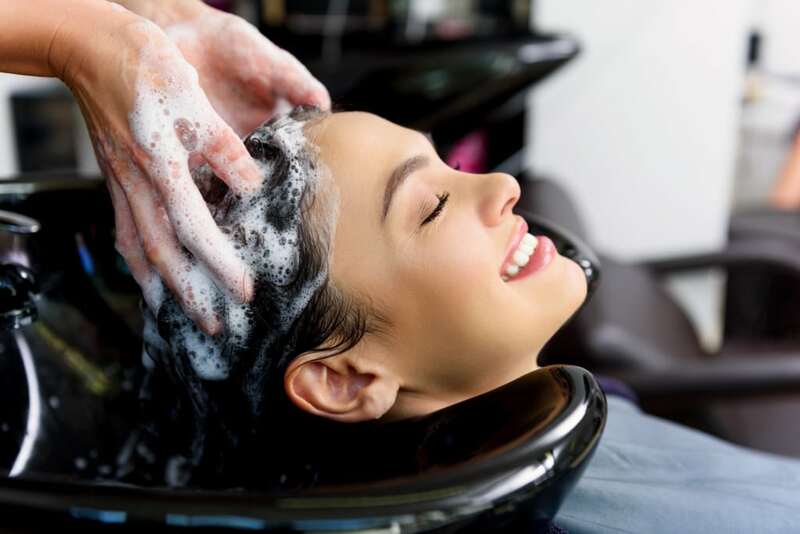 You may need to shampoo your hair for a second time to ensure the mixture has been washed out thoroughly. Continue to apply the collagen treatment hair mask every month for gorgeous hair. This hair mask will give your hair the pretty shine and lasting strength that everybody wants! Here is a short video to help you visualize making the mask and applying it. Just as mentioned above in our “Collagen Hair Treatment Benefits” section, there are a ton of great collagen hair treatment side effects that will help your hair look better than ever! To name just a few, collagen hair treatments are great for frizzy and dry hair because they reduce frizz, prevent current and future breakages, and strengthen your hair from the root to the tip. Collagen hair treatments are also known for enhancing the natural shine of your hair, and helping to slow down hair loss and hair thinning that can occur when free radicals hurt your hair follicles. It also helps with making grey hair look less grey and brittle. The collagen hair treatment does wonders with all of the excellent side effects that leave your hair well nourished. The collagen for hair side effects are so good that you are probably thinking about scheduling an appointment at your salon while reading this. That is a good idea and we fully recommend you schedule that appointment right now! 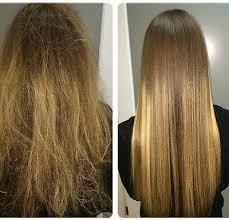 Getting a collagen hair treatment does not have any bad side effects to it. The only thing that would lead to adverse side effects is if you are mildly or severely allergic to any of the ingredients in the collagen hair treatment. This occurs in a very low number of people who get the treatment, but if you think that this could be you, either make your own collagen hair treatment at home without these ingredients, or consult one of the stylists at the salon about the ingredients they use in their collagen hair treatments. Some of the only known bad side effect of this hair treatment are seen in those with sensitive scalps and those who are allergic to the ingredients. Again, do not be afraid to consult one of the employees at the salon about the ingredients if you fear that you may have a potential allergic reaction while receiving the collagen hair treatment. Which Is Better for Hair: Biotin or Collagen? Taking either or both of these supplements is a good idea. Biotin and collagen are friends who work together as a team. One is a protein and the other a vitamin. We have covered plenty about the collagen protein and the benefits of collagen, but not much on biotin. Simply put: Biotin is a vitamin that helps cells grow. Both of these components have similar and important ways of supporting your health. 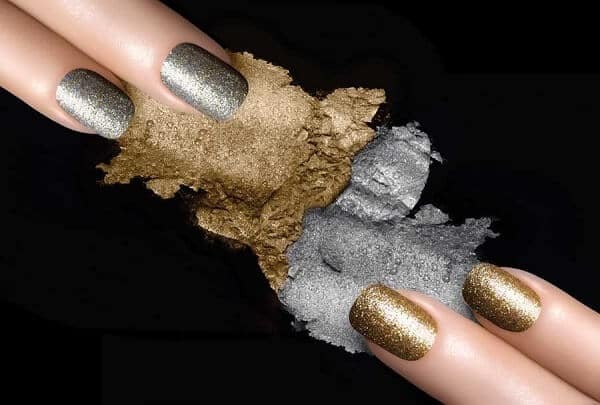 For repairing and revitalizing your nails and hair, biotin and collagen supplements and treatments are the way to go. For improving and strengthening both, there are no better natural supplements to feed your body consistently. Though both collagen and biotin have plenty of research left to be done to prove that all the effects claimed are scientifically accurate, you cannot deny the impact taking these supplements has had on people’s lives. 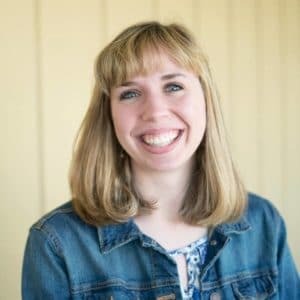 There are endless biotin and collagen for hair growth reviews and testimonies from those whose lives have been changed since beginning to take supplements or getting treatments. There are a ton of products out there that offer a collagen hair treatment and can be done at home at a much lower price. Below, we have chosen some of those products and have given you a short summary for each one as well as included some of the reviews that buyers have left after trying the product. 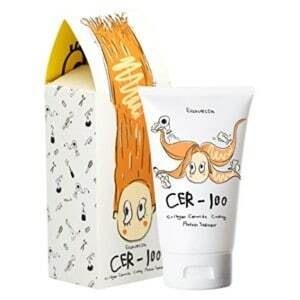 The CER-100 Collagen Coating Hair Protein Treatment is a rich repairing treatment mask that works well with hair of all textures, and is especially helpful for damaged hair. This product is an at-home treatment that is the consistency of conditioner. You simply apply this to your hair when it is dry and wash it out a couple of minutes later. 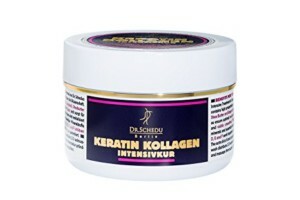 The Dr. Schedu Berlin Keratin Collagen Intensive Treatment is designed to treat hair that is weak and brittle and make it soft and smooth again. This treatment has other great ingredients including argan oil, aloe vera, and shea butter to help your hair achieve a new level of softness. Both of these products can be found on Amazon and have hundreds more reviews raving about how great they are. A collagen hair treatment is just the thing that your hair needs to vamp up its shine and keep it looking healthy and well taken care of. Let us know how you enjoyed your collagen hair treatment! Next articleWhat are the Best Volumizers for Fine Hair?